Study 10 popular apostrophes' placement with a fun online puzzle to learn English. 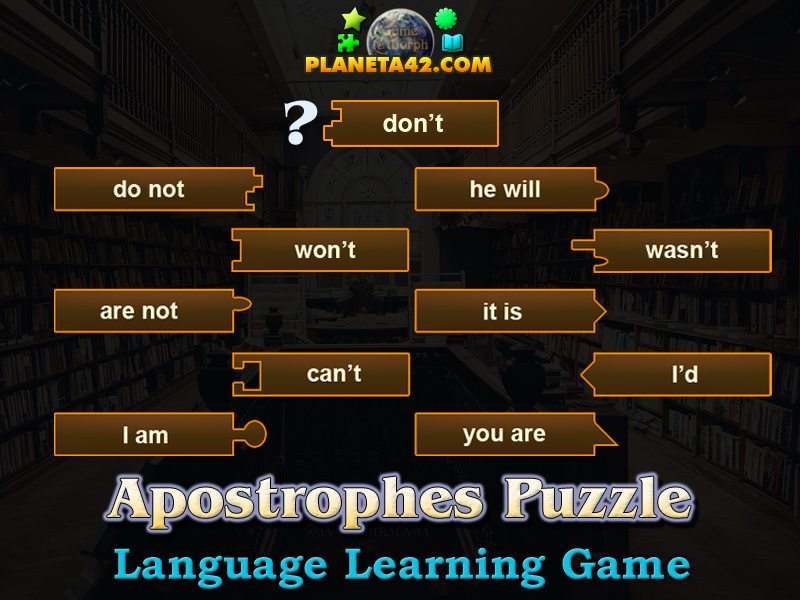 "Apostrophes Puzzle" is a free online game to connect the right contraction that indicate the omission of one or more letters as shown in the puzzle pieces. 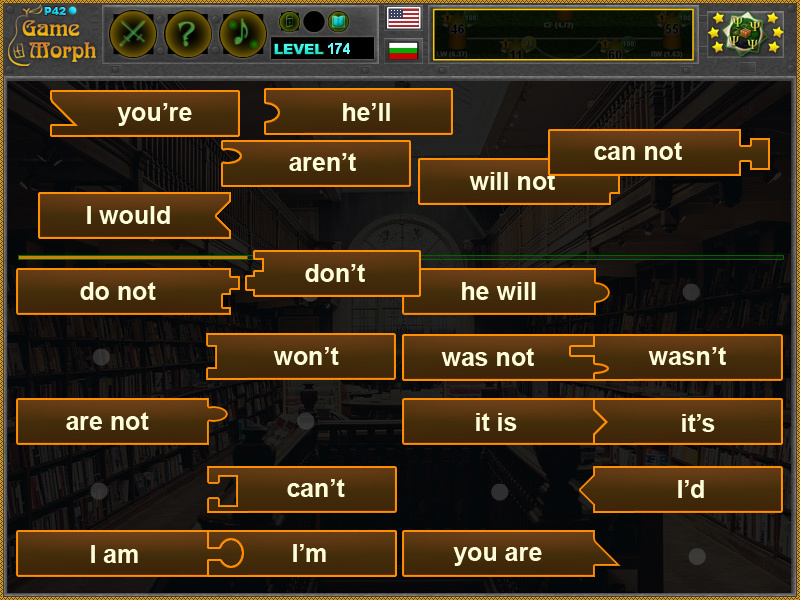 Language learning game to study the apostrophes' placement in English grammar. Fun educational language puzzle, suitable for online lessons and interactive classes. Drag and drop game. Interactive English learning. How to play Apostrophes Puzzle. There are 10 missing pieces of the puzzle in the middle and every one have a different fitting shape. Drag and drop the corresponding contractions from the top of the screen, where they complete the form of the correct example. Every time the pieces are generated differently and some times they may overlap. Do this for all 10 pieces to win the game. Know simple apostrophes contractions and get +1 Knowledge Level. The apostrophe is used in contraction to indicate the omission of one or more letters as shown in the puzzle pieces.